The housing market continues to defy fears of a post-referendum slump after sellers’ asking prices hit a new record high of more than £313,000 on average in April. Across England and Wales, the average price tag on a property being put on the market increased by £3,547 – or 1.1% month-on-month – to reach £313,655. Rightmove said strong numbers of house sales being agreed – at levels not seen since before the credit crunch – have helped to keep pushing asking prices upwards. 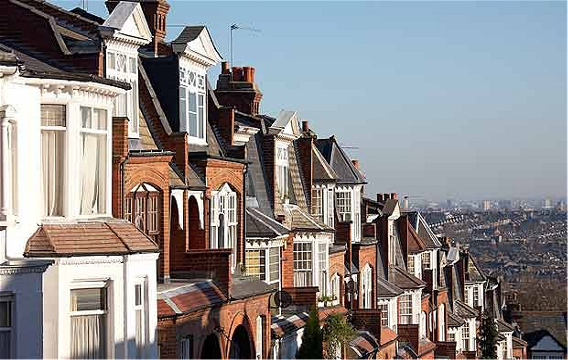 Miles Shipside, director of Rightmove, said there were signs of a “strong spring market”, which should help to offset any jitters in the market before the general election on 8 June. The first-time buyer sector was driving the price increases, Rightmove said, after changes to previously generous tax rules deterred buy-to-let investors from competing for similar homes. Asking prices in this market are up by 6.5% year-on-year, with the typical price tag on a first-time property – one with up to two bedrooms – now at a record high of £194,881. Across all sectors, asking prices are up by 2.2% year-on-year across England and Wales. Rightmove said the annual pace of asking price growth had generally slowed and was now at its lowest since April 2013. London and the north-east were the only regions in the study where average asking prices were lower than a year ago. In the capital they were downl 1.5% annually, at £636,777 on average, while in the north-east they were down 0.7%, at an average of £150,350. Eastern England has seen the strongest growth over the last year, with a 5.3% uplift taking the average property price there to £349,269. The West Midlands reported the next strongest, with a 5% increase pushing average prices to £215,784. In Wales, they were up by 4% year-on-year to reach £186,172 on average. Shipside said the number of sales being agreed was the highest for this time of year since 2007. Last year, the chancellor gave a year’s notice of phased reductions in tax benefits for buy-let-investors. First-time buyers appear to have been the main beneficiary, though a higher rate of stamp duty on second homes, which came into effect this month, also had the effect of spurring sales to people from purchasing an additional property. But he said the figures for agreed sales were also up by 3.8% when compared with two years ago. “With the growth in household numbers and new-build supply struggling to keep pace, demand is strong and has led to the highest sales agreed numbers at this time of year since the heady pre-credit crunch levels,” he said.